We are owned and operated by a professional Master Stone Mason and know everything about your chimney from the ground up. You can trust our years of experience. Fire-Safe Chimney Sweeps services Annapolis, Severna Park, Arnold, Millersville, Bowie, Crofton, Davidsonville, Odenton, Gambrills, Pasadena, Columbia, Frederick, Westminster and more! 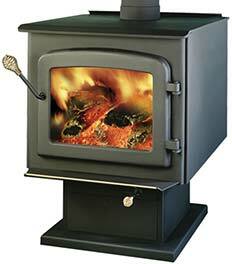 Every year, thousands of homes are destroyed by fires that originated in the chimney. Damages to property can be catastrophic and even lead to loss of life. Don’t gamble with your family’s safety. Let Fire-Safe Chimney Sweep clean and inspect your brick, stone, or pre-fab chimney, fireplace, or wood stove at least once every year or whenever you purchase a home. Our fourth-generation family business has been building chimneys, sweeping chimneys, cleaning chimneys, relining chimneys, and repairing chimneys, fireplaces, and wood stoves since 1939. We’re not some guys who took a 1-hour seminar and are now learning on the job with your safety at risk. We are owned and operated by a professional Master Stone Mason and know everything about your chimney from the ground up. 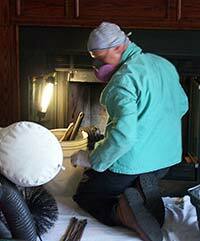 In fact, we are the most experienced chimney and fireplace contractor in the state of Maryland. Fire-Safe Chimney Sweeps is licensed, bonded, insured, and certified, and can complete any chimney or fireplace job from cleaning/sweeping to repairs, relining, rebuilding, and installation. Fire-Safe Chimney Sweeps also specializes in expert chimney and fireplace inspections for the buying or selling of your home. Our goal is to provide high-quality work and great customer service. 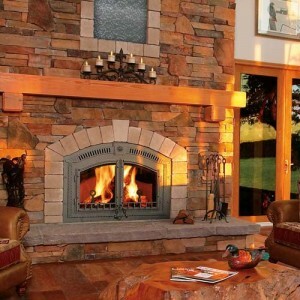 Fire-Safe Chimney Sweeps is also an authorized retailer and installer of Wood Burning Stoves, Pellet Stoves, and Fireplace Inserts from Napoleon Quality Fireplaces and Flame International—all made in North America. Fire-Safe Chimney Sweeps cleans, sweeps, inspects, and repairs chimneys in Annapolis, Severna Park, Arnold, Millersville, Bowie, Crofton, Davidsonville, Odenton, Gambrills, Pasadena, Columbia, Frederick, Westminster and more! Our extensive service area includes Anne Arundel County, Howard County, Carroll County, and Baltimore City, including (but not limited to): Annapolis, Davidsonville, Glen Burnie, Pasadena, Gambrills, Columbia, Crofton, Severn, Severna Park, Arnold, Millersville, Elkridge, Ellicott City, Bowie, Laurel, Lanham, Upper Marlboro, Stevensville, Kent Island, Centreville, Frederick, Westminster and many more (see complete list). Email us at info@firesafechimney.com or use our Request Service Form.